Types Of Bed Frame - Which? What bed is best for your bedroom? We give the pros and cons of divan beds, storage beds and bedsteads, so you can make the perfect choice. 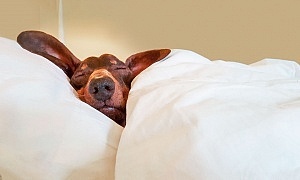 The average person spends a third of their lives sleeping - that's around 200,000 hours in bed. If you want to sleep well and feel ready and raring to go when you wake up, you'll want to get the best possible bed for you. A good bed starts with a good bed frame - we've outlined the main types of bed below. Once you've chosen a bed, you'll need a great mattress to go with it. 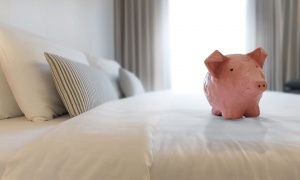 Our mattress reviews can help you find a mattress that will support your back well and last for years and years - and Best Buy mattresses start at less than £200. A divan bed is the most popular and simple style of bed available - and there are countless varieties on sale. Essentially, a divan is a base. You then add a bed mattress and headboard, sometimes as part of a bed package. There are two types of divan base available. Pocket sprung divans have springs in the base, offering a softer top and extra comfort. 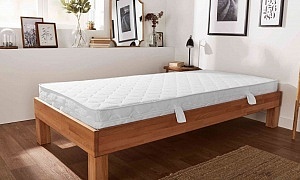 Cheaper platform top divans have a hard top and will give a firmer feel, although the overall firmness of the bed will depend on the mattress you choose. Bedsteads are slatted frames (as opposed to solid bases), usually made of metal or wood and comprised of a base, legs and headboard. They're usually a more decorative option, with different colours, finishes and styles to choose from - from a traditional pine bedstead to a luxurious four-poster bedstead. Upholstered bedsteads, clad with leather or faux-leather, are an increasingly popular option. As the name suggests, storage beds offer just that - lots of tidy storage options underneath the bed. They're a great option if you're short on bedroom space but want something a bit more stylish than a standard divan bed. Choose between storage drawers or an ottoman-style bed that fully lifts up, letting you store your belongings inside. There are lots more types of bed on the market - often designed to meet a specific requirement or appeal to particular age groups. Sofa beds and folding beds Flexible, compact beds that work well in a guest bedroom, or where a bed won't be used every day. Bunk beds Two beds in one for siblings in a shared bedroom - and lots of play fun for kids, too. Cot beds For smaller children, cot beds are convertible cots that can help your little one make the transition from cot to bed. Our video guide to buying the best cot bed includes advice on buying a safe cot bed that's right for your child. Once you've decided which type of bed frame to go for, check out our top tips on how to buy the best mattress.